Designed especially for kids, a full day of climbing and rappelling will help learning to trust and count on each other. We work with local summer day camps, rock gym climbing camps and Scout groups to organize rock climbing outings for kids and teenagers. We will customize our program to meet the needs of your group. Participants will learn to trust and count on each other while instilling confidence by sharing in this unique environment. 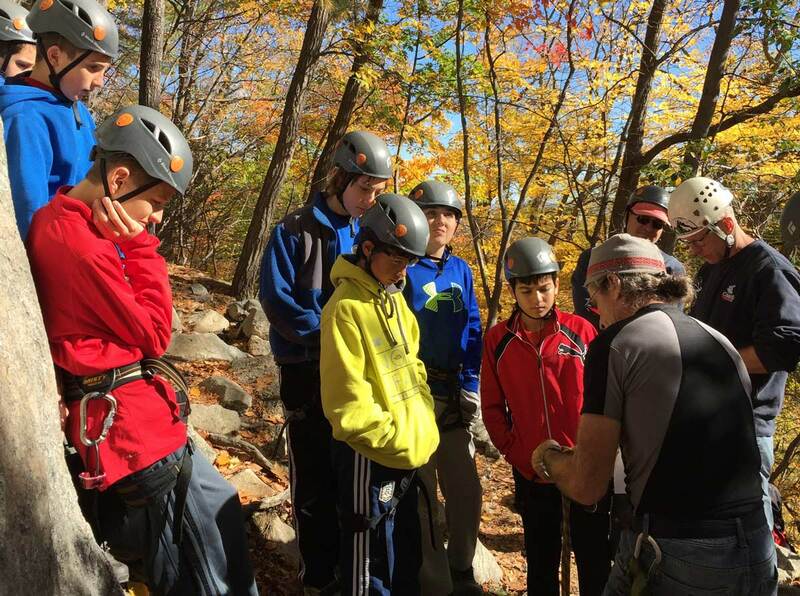 Scout groups can count on a full day of learning, climbing and rappelling. We know the required material to cover if you're looking to fulfill Merit Badge requirements.